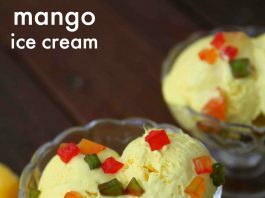 mango ice cream recipe | how to make homemade mango ice cream with detailed photo and video recipe. 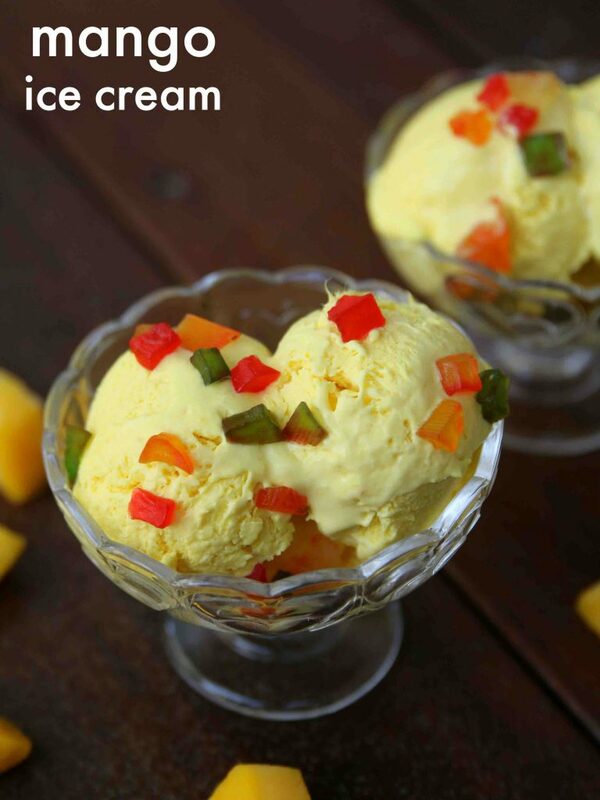 a popular and creamy ice cream variant recipe prepared with the mango flavor or mango pulp. perhaps one of the most popular variant of ice cream recipe especially during the summer season or mango season. 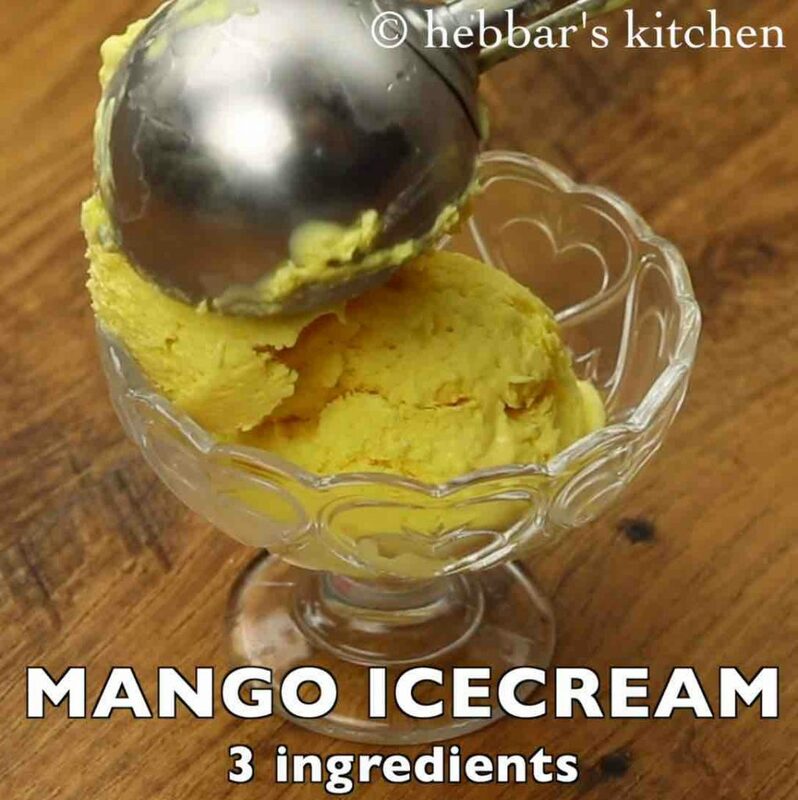 the recipe is extremely simple and follows the same steps as any other ice cream with an addition of mango flavor. 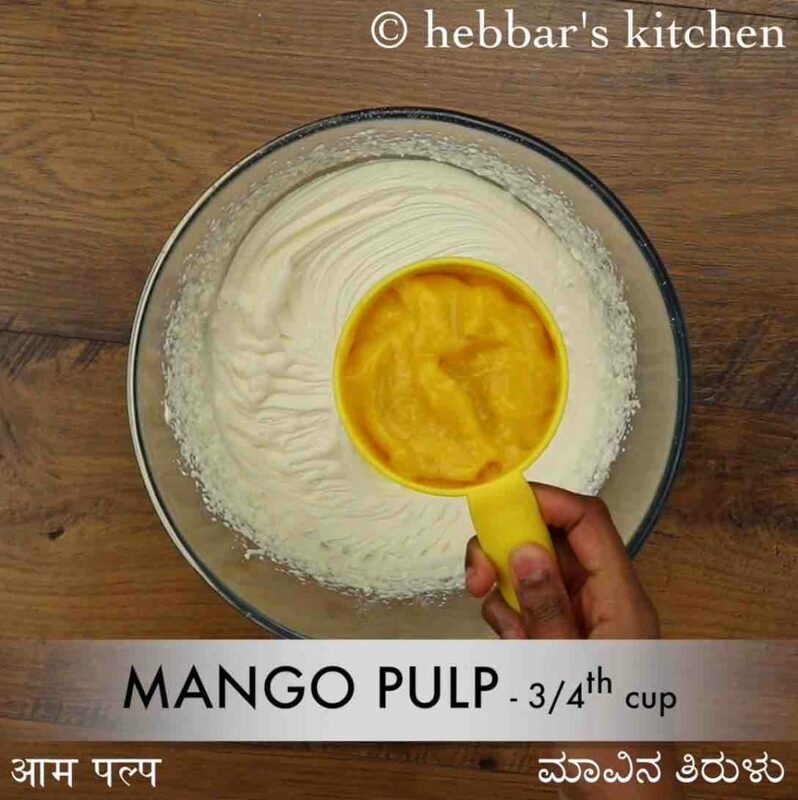 mango ice cream recipe | how to make homemade mango ice cream with step by step photo and video recipe. 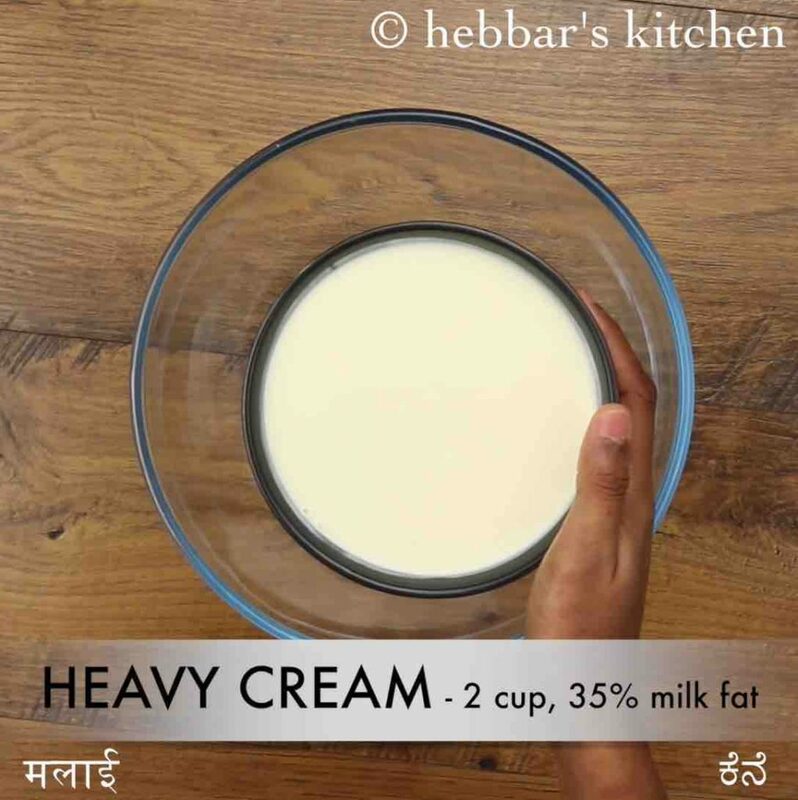 ice cream recipes are the flavored desserts recipes in india during the supper or dry season. markets are flooded with several forms of ice creams or ice candies which includes the seasonal fruits and seasonal flavors. one such widely appreciated recipe is homemade mango ice cream recipe. in this recipe i have not used the ice cream maker and i have prepared with just cream and fresh mangoes. 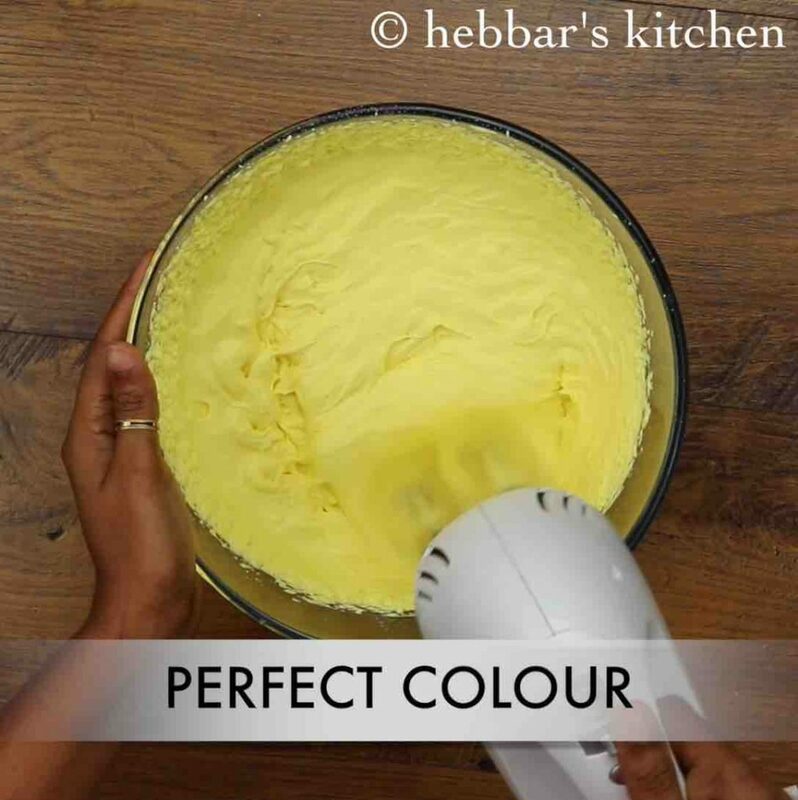 i wanted to prepare mango ice cream with milkmaid or condensed milk, which eventually brings down the number of ingredients and making it an easy recipe. however i went back with the traditional approach because of my previous experience with milkmaid. i have been receiving lot of queries and dissatisfaction with my readers about the availability and quality of condensed milk in india. hence, so just to avoid confusion and concerns, i had to fall back. moreover i have not yet shared the recipe for condensed milk yet and it makes more sense to adopt milkmaid recipes once i have it. 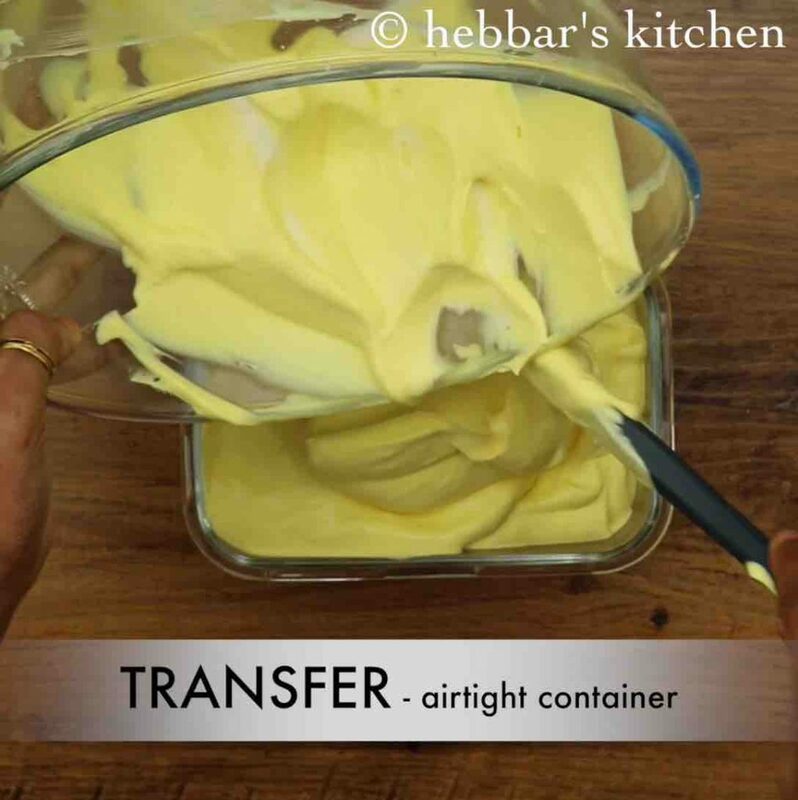 furthermore, some easy and simple variations to homemade mango ice cream recipe. 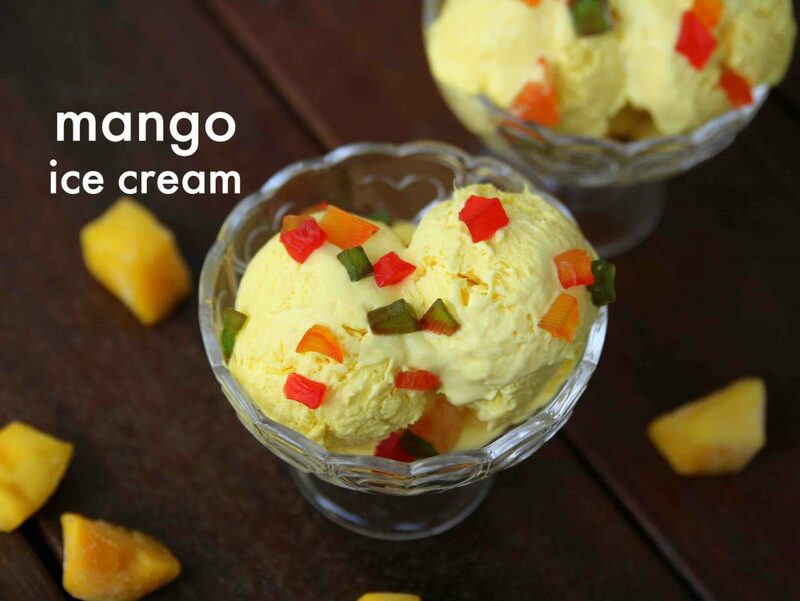 firstly, the key ingredient for a perfect mango flavored ice cream is, obviously mangoes. hence ensure the mangoes are ripe and juicy with no sour taste in it. i personally recommend indian alphonso or thothapuri mangoes but i have used honey gold mangoes for my recipe. secondly, the store bought mango pulp can also be easily used for this recipe. 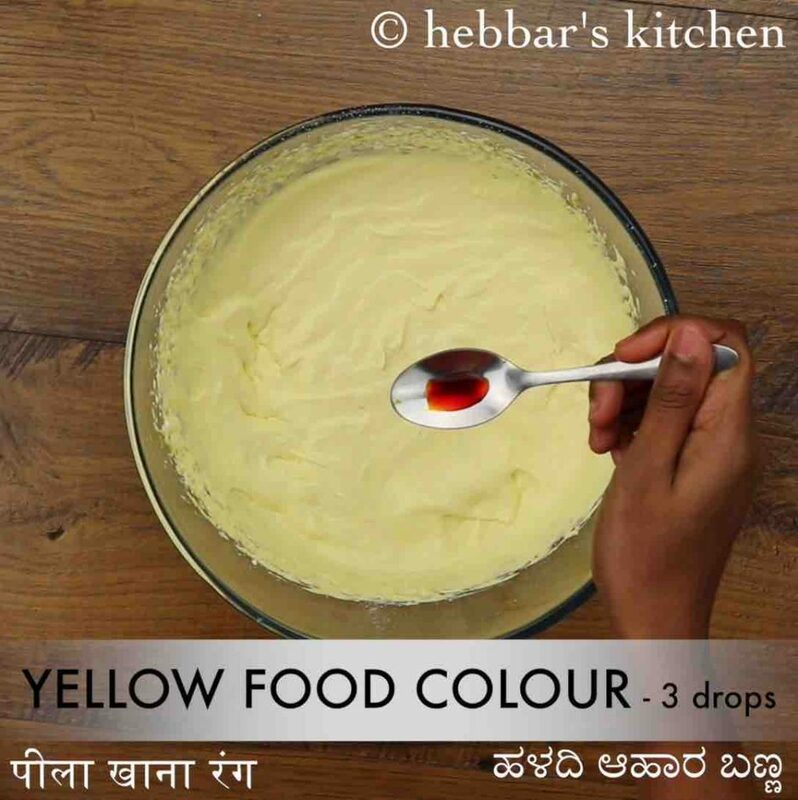 also if you are using store bought pulp, the yellow food color can be easily skipped without. 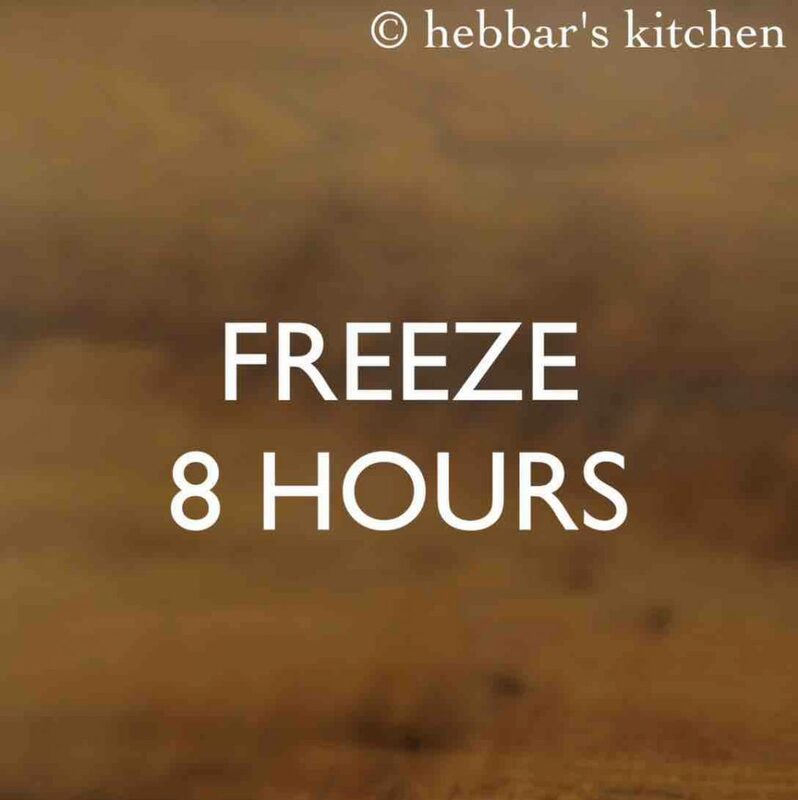 lastly, the recipe can be easily extended to any choice of flavored ice cream recipes. if you skip the mangoes and add 2 tsp of vanilla extract for vanilla ice cream. or perhaps you can go wild and add choco chips, or dry fruits and any choice of fruit pulp. 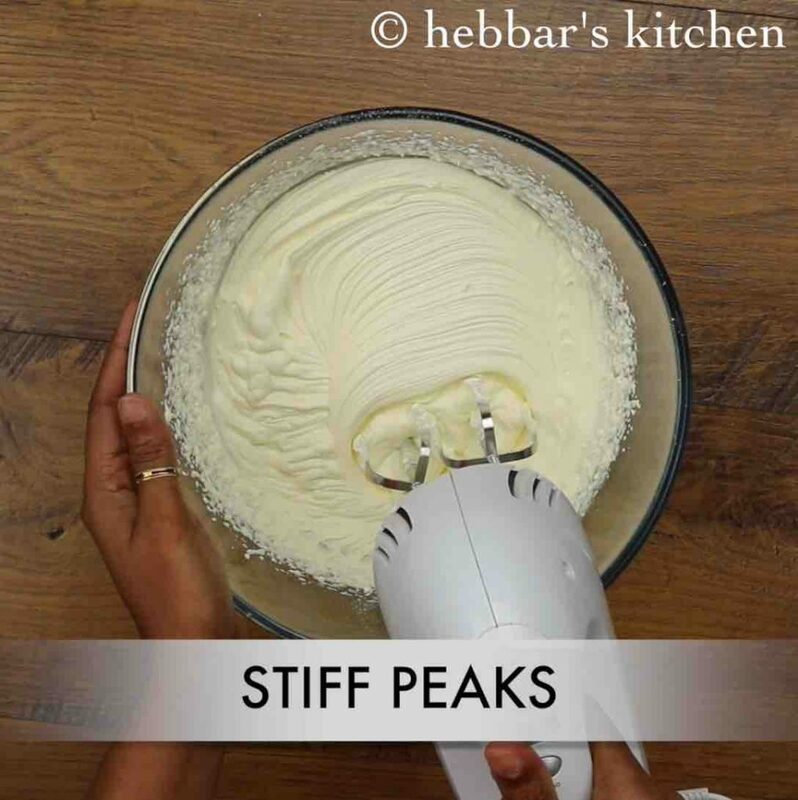 add ½ cup powdered sugar and beat or whisk for 2 minutes or till stiff peaks appear. further, add ¾ cup mango pulp. to prepare mango pulp blend 2 mango to smooth puree without adding any water. also, you can puree frozen mangoes or store bought mango puree if you do not have fresh mango. 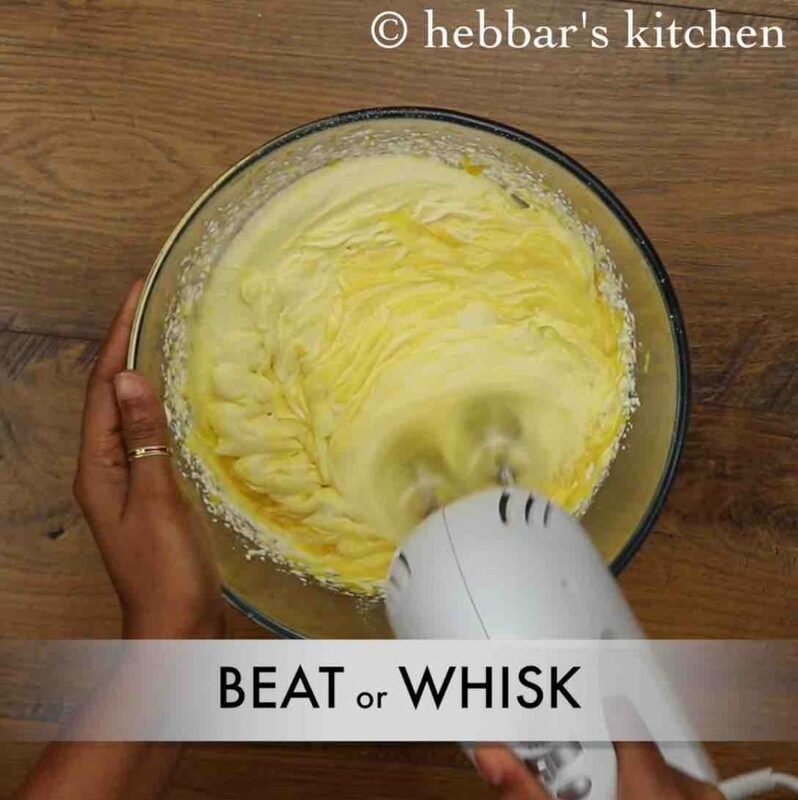 additionally, use thickened cream / heavy cream / whipping cream to get good creamy ice cream. finally, eggless mango ice cream can be used to make a mango milkshake.